The origins of structural engineering can be traced all the way back to Ancient Egypt and the construction of the incredible Pyramids, and countless examples of early civil engineering innovations can still be seen today in Roman cities such as Rome and Pompeii. But the actual term “civil engineering” was not coined until 1729, by English civil engineer, John Smeaton. 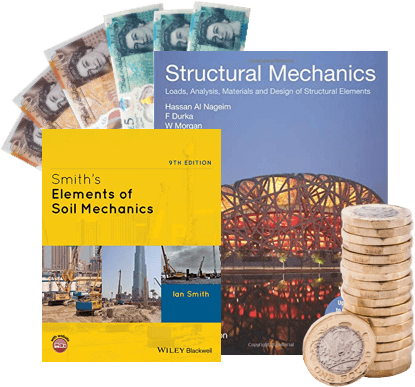 Well, Smeaton may have come up with the name “civil engineering”, but we have come up with a revolutionary and hassle–free way to exchange your unwanted civil and structural engineering books for cash with our easy selling system! Sell civil and structural engineering books for cash! 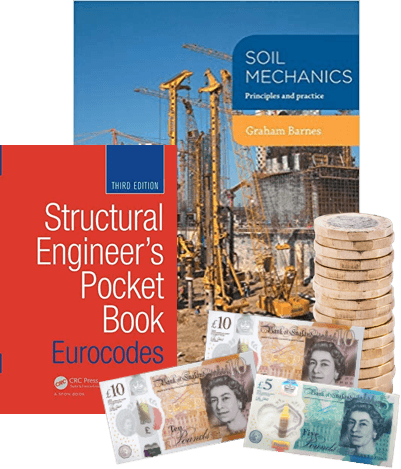 As you may be able to tell, WeBuyBooks are avid fans of engineering, and we’re after your used books on the subject, including themes from structural and soil mechanics, to environmental and costal engineering. 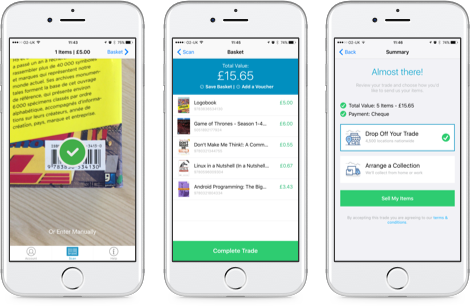 So, if you have any unloved engineering books stuffed to the back of a cupboard or laden with cobwebs at the top of a shelf, we think we can persuade you to finally part with them with our speedy four step system: scan, value, send, get paid! As opposed to the lengthy time and huge effort that goes into creating functional and stunning structures, it takes minimal time and brainpower to sell your used civil and structural engineering books with us. The whole process can be done and dusted in mere days, and we pay you the very next day after we’ve checked your items, meaning no waiting around for your cash. Sell used civil & structural engineering books on the go with our mobile app! It transforms your phone’s camera into a clever scanning device, meaning you can get valuations for your used civil & structural engineering books whenever and wherever. So, even if you’ve got piles and piles of used civil & structural engineering books to sell, it won’t take you long to swap them for cash! What condition do my used engineering books have to be in? We appreciate that you may have been studying hard and trying to take in every single piece of information when reading your civil and structural engineering books, and that some pages might have some underlining, annotations and highlights as a result. But as long as your books don’t look like artifacts from Ancient Rome, you don’t have to write them off as unsellable. We are happy to accept civil and structural engineering books as long as they have no tears, missing pages or stains, and the annotations adhere to our item condition guidelines. Send your Civil & Structural Engineering Books, DVDs, games and CDs to us and we’ll send you some money. Less clutter at home and more money – what’s not to love about that? So don’t wait – sell online today with We Buy Books. If you’d like some extra help, then please don’t hesitate to get in touch. Just give us a call on 01706 248281.